Q. 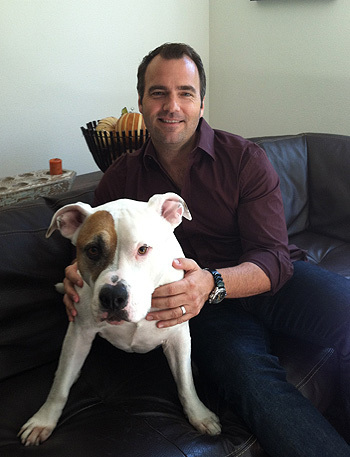 Can you tell StubbyDog readers how you got the idea for your first children’s book, “Doggieville“? A. My oldest daughter, Scarlette, loves Daddy’s stories, so after my wife and I read the girls books, we turn the lights out and finish up with some fun and adventurous story. Scarlette asked me to tell a story about our dog Whiskey, so it started there. One night after putting my girls to bed, I asked my wife, Tahnee, what she thought of the idea of putting “Doggieville” into print. She supported the idea and I began the journey from idea to reality. The book holds so much for me and for others. It is now a tool to help educate people on the breed as well as a lesson for my own children to show them that anyone can have an idea and make it real. Imagination is a powerful thing when action is put behind it. Q. How are your Staffordshire Terrier, Whiskey, and your book character, Kiki, the same and how do they differ? A. There isn’t much difference between the two. As far as looks, the illustrators did an excellent job turning Whiskey into the character Kiki. Kiki is in essence Whiskey; one difference would be that Whiskey has become quite the dog of leisure. I’m not sure if he would have been up for hiking up the highest mountains and swimming for three days across the ocean. I think, for him, lounging in the Cookie Café would have been just about perfect. Q. How do you think Kiki and Whiskey display typical Staffordshire Terrier traits? A. Both Kiki and Whiskey are typical Staffordshire Terriers in that they both display the traits that we love in the breed. They are physically strong, playful, loving, cuddly, wickedly smart, loyal and determined – although some might use instead the adjective stubborn! Q. Do you think the book will directly or inadvertently help change readers’ reactions to, or perceptions of pit bull type dogs? A. I can only hope that once “Doggieville,” Kiki, and the entire series unfolds, they will have a positive influence on readers and their perceptions about all the bully breeds. When I started telling the story to Scarlette, Whiskey’s breed never came up, and when I wrote the manuscript I didn’t have that in mind. It wasn’t until later when someone asked me about his breed that I honestly thought about it. To Scarlette and Savannah, Whiskey is just Whiskey, a fun loving and sweet dog, and he is no different than any other dog. Q. Tell us what readers have in store in the next “Doggieville” installment. A. I am so excited about the next installment of the “Doggieville” series, “The Return to Doggieville.” Readers will get to experience and see a lot more of the town of Doggieville. They will also get to meet many more characters that live there and in the surrounding towns, like KittyKat Town. There will always be adventure and a problem to solve or conquer. There is also a big surprise that will be unveiled. It truly promises to be a fun, adventurous and sweet story. 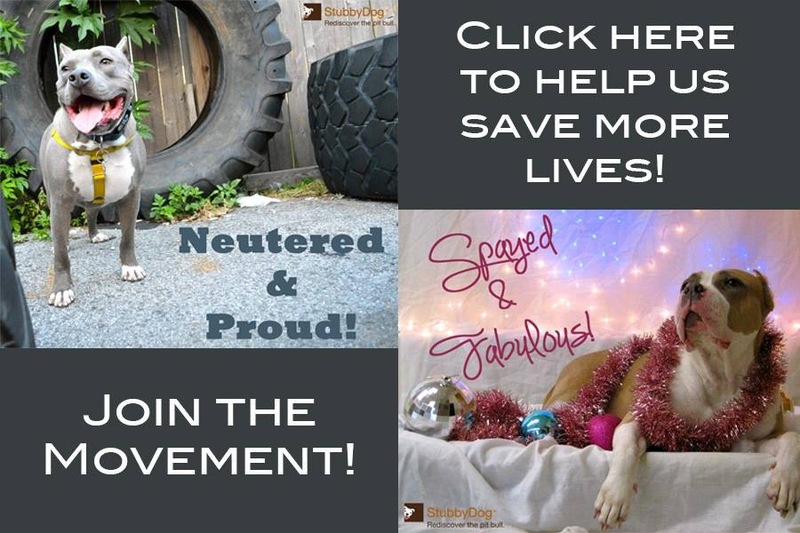 A. I want to thank StubbyDog for all that you do to help the bully breeds. Groups like yours are doing a lot to help us remember why the breed is so special. I feel honored that “Doggieville” and Kiki can add to that positive image. 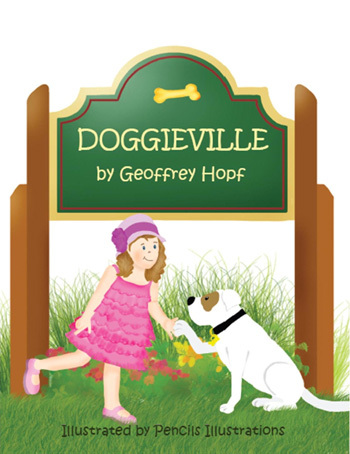 I just want people to walk away after reading the story to their children and know that “Doggieville” at its core is a story of unconditional love and sacrifice. It is something we all can relate to no matter what the breed of dog or what nationality we may be; it is something we all share in our global family. My kids will love it.Your offering a book that’s worth to buy.Thank you for sharing this. I think purchasing this Doggieville books is worth it! My daughter will surely love this… Thanks for sharing the info.